Brooksby Melton College student Cole Wildin has been in warmer climes, representing the Antigua and Barbuda under 20s football team at a tournament in Miami. Cole, who studies Level 3 Sport at BMC, has helped the team secure a big 6-1 win against St Martin and a tighter 1-0 win against Belize. 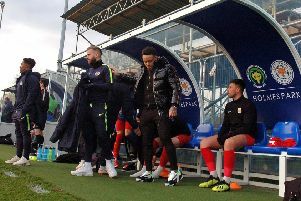 He initially began his studies as part of the BMC Football Academy and, after a successful season continued onto the Mansfield Town Academy programme at the college which boasts multi-million pound sport facilities at its Brooksby Campus. Andy Graham, sport lecturer at BMC, said: “This is such a fantastic achievement for Cole and we are proud to be supporting him through the start of his football career. The college offers a range of sport and sport science courses, from Level 2 through to degree level, and works in partnership with Mansfield Town FC and Leicester Tigers to provide sports academies.